Here are the ten important moments for the perfect set of wedding pictures. As the bride and her bridesmaids get ready for the ceremony, you’ll have a great opportunity to grab some candid shots. 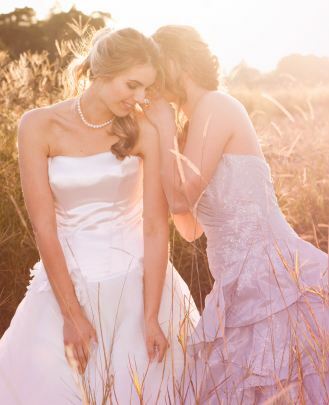 Capture intimate moments between the bride, her mother, her sisters and the bridesmaids. Look out for small details and close up shots, such as the bouquet lying ready or the lace on the veil. Before the bride arrives and the ceremony gets going, take some pictures of the other guests arriving and of the groom with his best man. Once the bridal car draws up, make sure you’re in a good position to catch the bride alighting from the car and then walking towards the church or venue on her father’s arm. If the sun is bright, underexpose the shot. Be sure to attend the wedding rehearsal so you can work out where best to take your pictures of the ceremony from – and where you’re allowed to go. Once the service gets going, there’s no going back and you will need to capture all the important moments. You may also need to work out how you are going to deal with limited light levels inside the venue. This is an essential shot – the first few moments of being man and wife. If you can frame the new couple in the church doors, you will have an unforgettable image, especially as they steal a kiss. Once again, advance planning is vital to get your shot – and be sure to capture the confetti shower at the church gate. A formal portrait of the new married couple is a must. Scout your locations beforehand and work out what equipment you’ll need – you’ll be working fast as the guests will be waiting to see them. Try for some long shots in a romantic setting, and then get some close ups: kissing, forehead to forehead or simply looking at one another. Use a reflector to bounce light onto their faces. Discuss these in advance with your client to make sure you get all the combinations required, including one that features everybody present. With a big wedding, this can be challenging – but it can help to have a small stepladder so you can get a bird’s eye view of the crowd. Use a wide angle lens and pop the flash to reduce shadows on the faces. Weddings may be about the people but it’s the small details that make them unique. Take some close ups of the flowers, the cake, the rings and memorable features of the reception venue. Remember to capture not only the speaker, but some of the guests’ reactions – you may need an assistant to help with this. These are special moments that make varying demands of the photographer. Even if it’s a slow dance, your subjects are moving and you need to take this in to account – in particular, you might find it helpful to use multiple, off-camera flashes. Cutting the cake is a classic picture, so think about how you compose and frame it to make it something special. More and more weddings are ending with fireworks and you may be able to charge extra if your clients ask you to stay and take pictures. The ultimate challenge is to capture the fireworks with the couple in the foreground; a longer exposure can help, with a flash to light up the couple.